It blew my mind to discover that this badass girl who flies through the air and launches up gnarly climbs was drawn to Over and Out so she could step outside of her comfort zone. It just goes to show you that appearances aren't everything, and beginner riders aren't the only ones feeling outside of their element when they head off to an event like Over and Out. Read on to meet Pro Hillclimber and #fastfriend, Molly Carbon. SO, YOU'RE AN AMA PRO HILLCLIMBER! CAN YOU EXPLAIN WHAT THIS IS FOR THOSE WHO ARE UNFAMILIAR? Of course! AMA Pro hillclimbing is a professional hillclimb series where riders race to the top of nearly vertical inclines on bikes from modified 450cc motocross bikes to 1000cc+ fully custom motorcycles burning 100% nitromethane. The hills can consist of motocross-style jumps, vertical rock ledges or even chest-deep ruts. Traditionally hillclimbing was rider vs hill, and riders would make solo runs with winners determined by either footage (distance) or time. Now the sport has evolved to include side by side racing called verticross, where as many as five riders attempt the hill at one time in a tournament format. 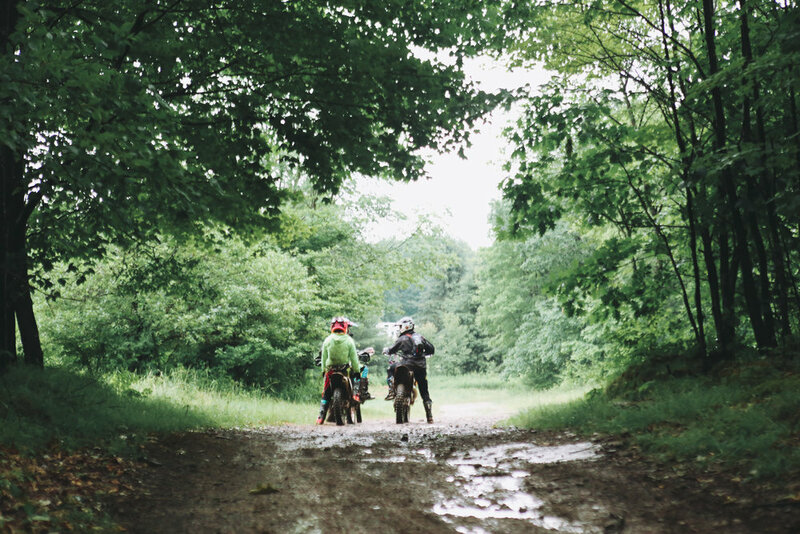 HOW DID YOU GET STARTED RIDING, AND HOW DID YOU GET INTO HILLCLIMBING? My earliest memories are of my father throwing my sister and I on whatever had a motor and taking us for a ride. Once we learned how to ride a bicycle my mom allowed him to teach us how to ride a dirt bike. After watching my dad hillclimb, my sister and I decided we wanted to try it. 20 years later I’m still enjoying every race! WHAT'S DIFFERENT ABOUT THE BIKE YOU RIDE TO DO A HILLCLIMB? For the Xtreme class, I race a fully customized 500cc Triumph that runs on 100% nitromethane. Compared to most other motorcycles this has a much longer wheelbase and utilizes chains on the rear tire for traction. A nitromethane-fueled bike, runs on an extra-explosive chemcial mix instead of gasoline. This blog post puts it into perspective: "The end result is an engine that’s about as gentle as using a hand grenade as a night light." WHAT KIND OF GOALS DO YOU HAVE FOR FUTURE RIDING AND RACING? 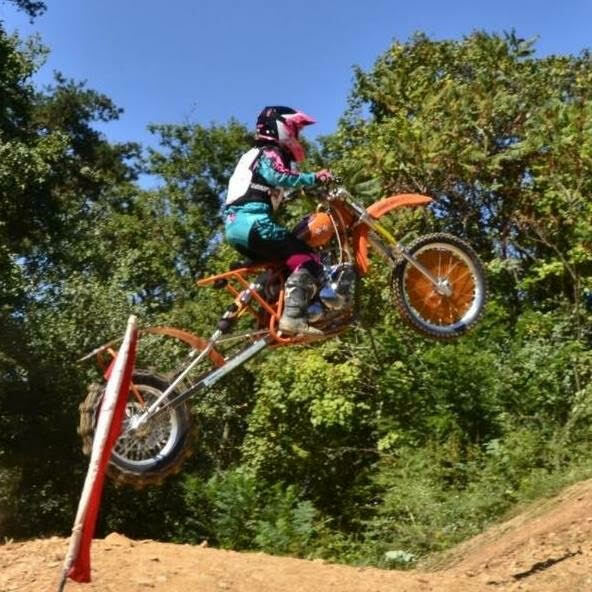 As far as hillclimbing I have achieved most of my goals, turning professional, becoming the first female to hillclimb a motorcycle on 100% nitromethane, and competing in a West Coast NAHA event. I’d love to compete in an International hillclimb event. Beyond hillclimbing my goals are to become a more well-rounded rider by developing my skills in the woods and on the track. I'd also like to share my experience and knowledge with young riders. This year I hosted my first rider class and would like to continue to have more events. YOU ALSO RIDE AN ENDURO. WHAT'S YOUR EXPERIENCE WITH THAT TYPE OF RIDING? When I first started riding with my dad and sister we rode the trails around the house. While that’s where I got my start, I never actually developed greater skills for woods riding. I was asked to be on a team for the 24 Hour Enduro last year and I prayed to make it out alive! The sadistic side of me enjoyed the challenge and not long after that first time doing the 24-Hour I was already planning the next! I enjoy the physical challenge as well as the mental challenge that comes with longer duration and demanding riding that woods racing offers. Recently I did my first harescramble and plan to attend as many as I possibly can! WHAT WAS YOUR EXPERIENCE AT OVER AND OUT? My friend Crystal told me about the event and I knew right away I wanted to attend. I knew that going to an event without my dad or boyfriend would be a step outside of my comfort zone and I wanted to take on that challenge. 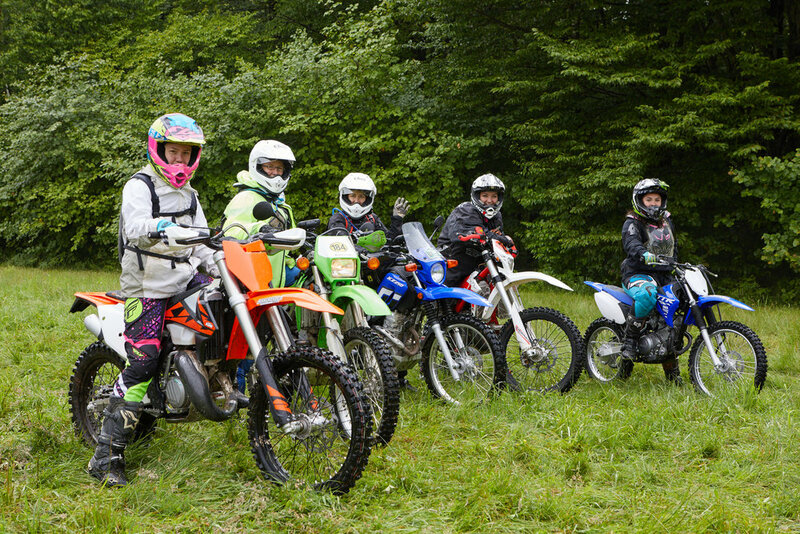 There was such a laid back atmosphere and I loved riding in the woods with other female riders. I also loved how comfortable and supported I felt when it came to challenging myself here. Going into Over and Out I wasn't that familiar with my new bike. But I took a lesson with Mitch (@ssschap) and Mikayla, learned some new balancing and clutch skills... I feel like I really bonded with my bike and that I rode the best that I ever have on the trails! I can't wait until next year!